I have 6 years experience as legal practitioner and semi-qualified Company Secretary in India, and international experience as a freelance lawyer. 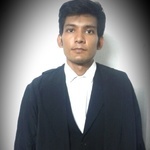 I have wide experience in...Read moreI have 6 years experience as legal practitioner and semi-qualified Company Secretary in India, and international experience as a freelance lawyer. I have wide experience in corporate law, and because of being a semi -qualified Company Secretary, I can handle various matters, associated with corporate law, including but lot limited to Drafting Corporate Agreements, Securities Law related matters (IPO, FPO, New issue, Drafting Prospectus, Offer documents,), Regulatory compliance, Drafting Articles of Association, Memorandum of Association, Corporate Agreements, legal research associated with corporate law, Company registration, Foreign Exchange Management, Employment laws compliance associated with Company, corporate taxation, Auditing, academic writing relating to Company law, Corporate governance, Corporate litigation (India specific) etc. Terms and conditions drafting for websites. Hire me and you will have high quality professional legal services delivered at the attractive price!!! Very good work, will use again. Kaushik was very patient and accommodating to my needs. Exceeded all expectations! Wrote a very good report with relevant snippets of English law, commentaries, personal comments (which English lawyers never want to give!) and, most importantly, case studies that help answer my difficult legal question. Really did a good job, I will certainly be using Kaushick again. Great Job. Very knowledgeable in his field.